The town of Sullivan’s Island requires that all dogs, even those owned by visitors, have a valid Sullivan’s Island permit. Permits are available at Town Hall, or you can download an application packet at www.sullivansisland-sc. com. The website gives you all the details on the costs and requirements to get your furry friend licensed. Once your leashed pup is legit, it’s time to have some fun. Beachcombing with your canine buddy can be a blast for both of you. Before you splash in the surf and romp in the sand, some proper planning can help to ensure that your pooch’s day at the beach goes swimmingly. Whenever possible, provide a shady spot for your dog to seek some relief from the heat of the sun. When applying sunscreen on yourself, don’t forget your canine companion. 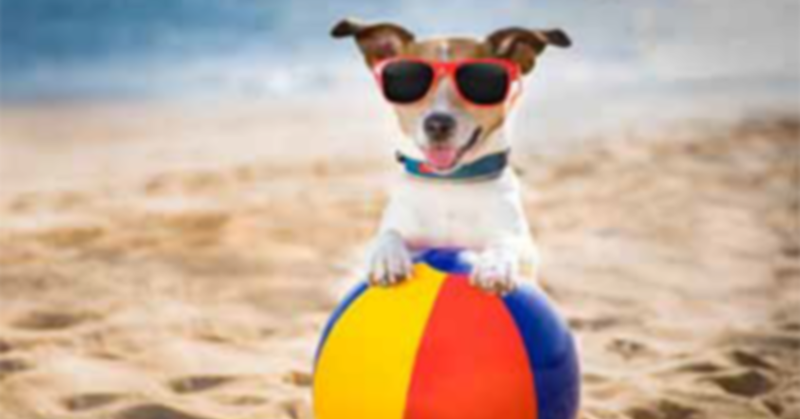 Dogs’ noses and ears are sensitive to the sun and need protection, too. The American Kennel Club recommends applying sunscreen to dogs 30 minutes prior to exposure and that you pay special attention to dogs with short hair, white fur and pink skin. If the sand is too hot for your feet, it is definitely too hot for your dog. 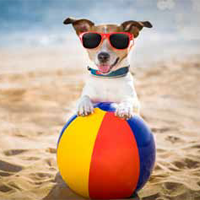 Keep an eye on your pet’s paws, since shells and other objects can be hidden in the sand. Does your doggy paddle? Swimming in the ocean can be great fun for you and your dog. Be aware of strong currents and be careful not to overdo it. Dogs use different muscles for swimming and can tire quickly. 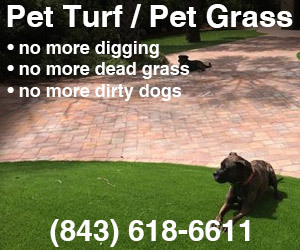 As every responsible pet owner knows, always clean up after your dog and dispose of waste properly. t the end of your beach day, be sure to rinse your dog with fresh water. The salt and other minerals can damage his or her coat.